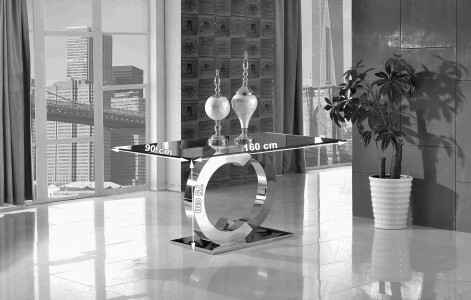 If you're looking for that statement piece that will give your dining room that Wow factor look no further! 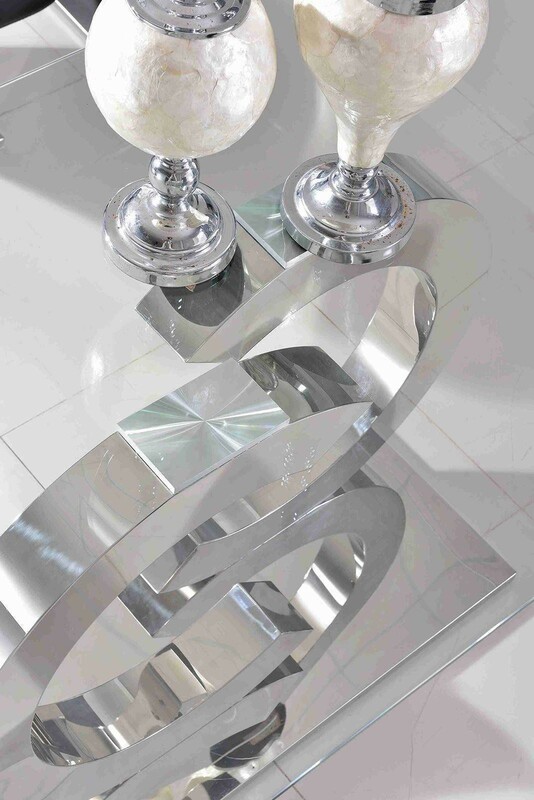 The gorgeous Channel designer glass dining table features a 160 x 90cm clear glass top, with 2 stunning C shaped frames made of polished stainless steel that sit on top of a sturdy polished stainless steel base. 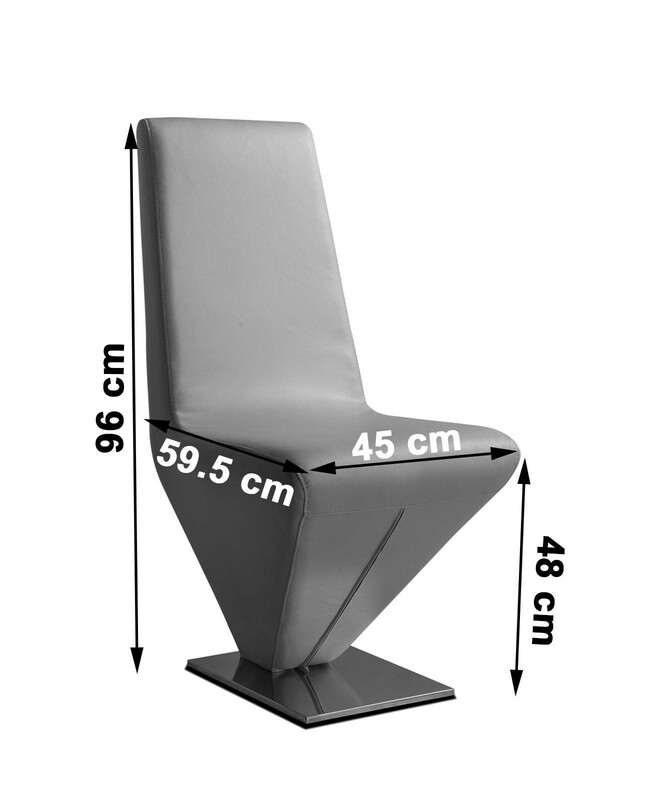 The Channel will comfortably seat up to 6 people. 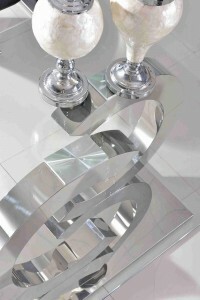 This truly is a designer statement piece, ideal for any modern setting and will be sure to impress your guests. 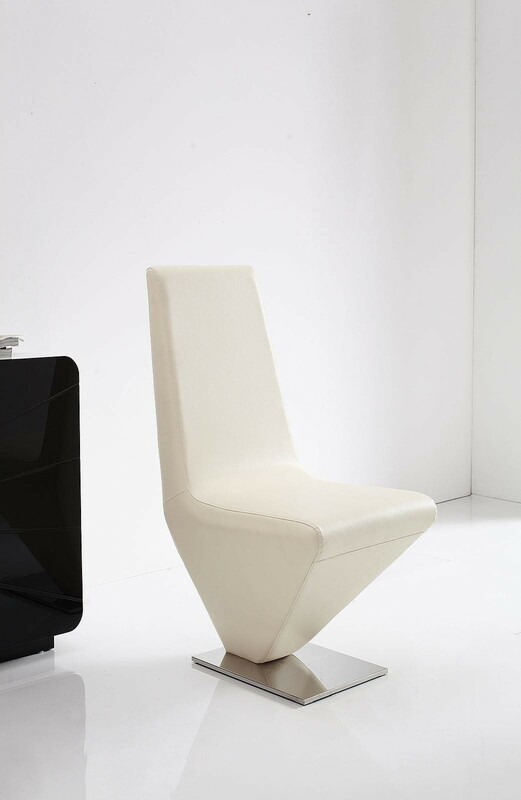 Accompanying the table are the Alisa faux leather dining chairs available in black, brown or ivory. 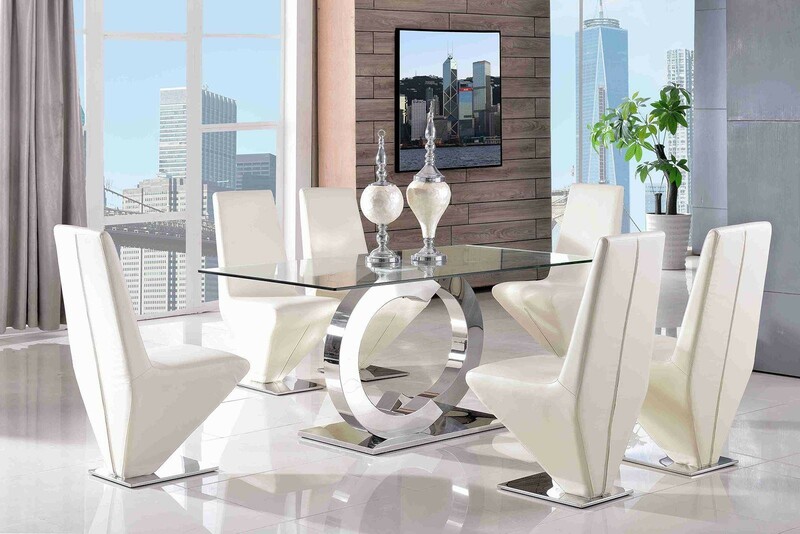 The Alisa dining chairs feature a contemporary wave back design and padded seat with chrome steel legs. This item has been designed with minimal home assembly needed to aid delivery to your home. Full instructions will be provided to ensure assembly process is straight forward.